WHY: My fandom for this English outfit has been steadily growing over the past few years, but after listening to this record lord knows how many times, it's safe to say I'm a fangirl. 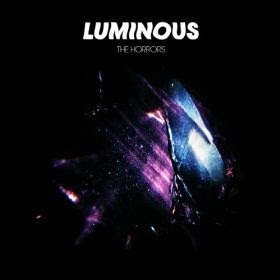 It was actually quite appropriate of The Horrors to call this spectacular record of theirs Luminous, because that word can very easily be used to describe it. Every song on it is a masterstroke, thoughtfully composed and positively running over with elegantly epic, grandiose swirls of impeccable, polished, and flat out gorgeous rock. Faris Badwan's vocals, once they've snared you, are impossible to resist, and the smoldering, smoky delivery of his really shines on Luminous. It's a lush record filled with sensuous shadows, and a record that I find nigh on impossible to resist (not that I'd ever feel like putting up much of a fight, mind you).